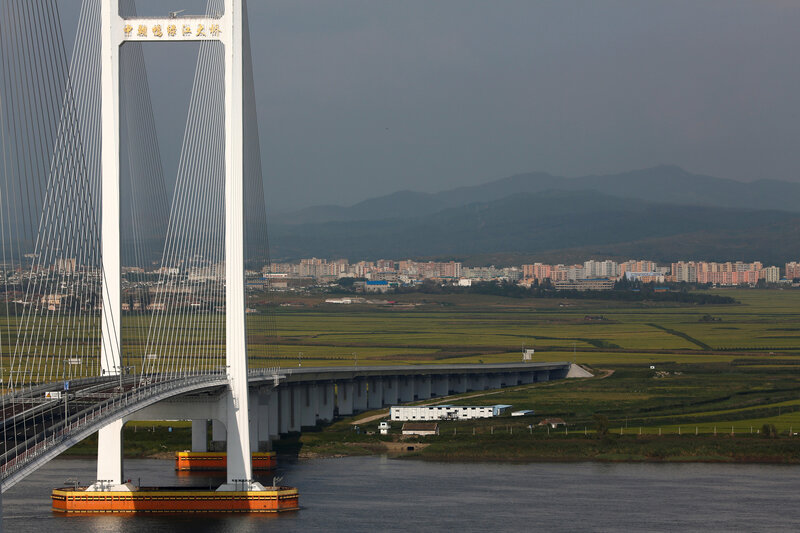 DANDONG, CHINA - Towering above the murky waters, the New Yalu River Bridge was supposed to symbolize a new era in relations between China and North Korea, helping bring investment to landmark free trade zones jointly run with the impoverished and isolated state. 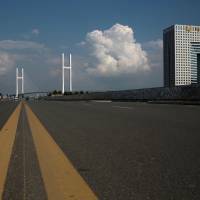 Costing 2.2 billion yuan ($330 million) and partially completed last year, the dual-carriageway bridge today sits abandoned, the impressive border post on the Chinese side deserted and locked, not a soul to be seen. On the North Korean side the unfinished bridge ends abruptly in a field, with little sign of infrastructure work happening. Launched with great fanfare at a five-star Beijing hotel in 2012, the free trade zones close to the Chinese border city of Dandong were meant to be part of China’s efforts to coax its erstwhile diplomatic ally into cautious, export-oriented economic reforms, rather than sabre rattling and nuclear tests. China’s anger at North Korea for carrying out its fifth and biggest nuclear test last week means the bridge looks unlikely to open any time soon, especially as Pyongyang is already under wide-ranging U.N. sanctions China has promised to uphold. The lonely streets of the Dandong New Zone stand testimony to the failure of those engagement efforts. Apartment complexes with fancy names like “Singapore City” lie bare or half-finished, and shopping malls empty or at very low capacity. At the Guomen Wanjia Home & Life Square Mall, Sun Lixia sits waiting for customers at a lighting store. “North Korea hasn’t opened their end of the bridge and we can’t really do anything about it. It’s been bad for the local economy here. Who knows when they’ll open it?” Sun said. 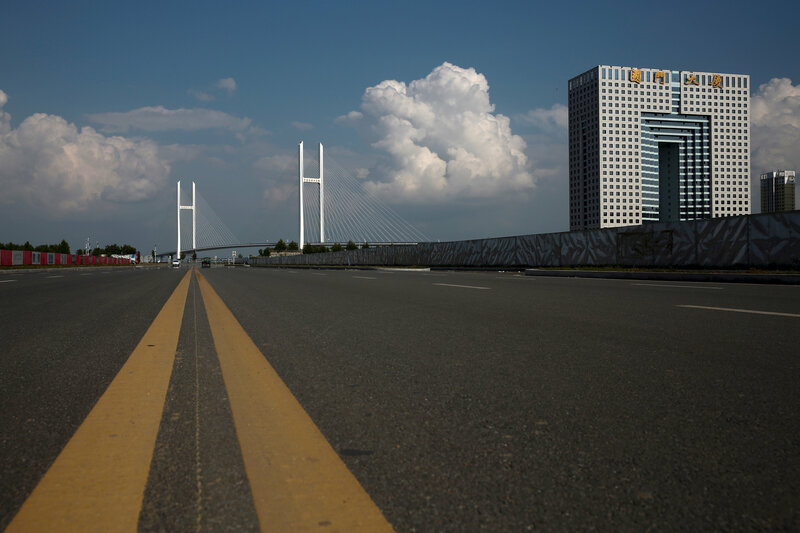 It’s far cry from what one Dandong official told state media in 2012: that the development would resemble Causeway Bay, one of Hong Kong’s busiest commercial areas, and the bridge handle 50,000 people and 20,000 vehicles a day to North Korea. The Hwanggumphyong and Wihwa Islands economic zones, along with one at the other end of the border at Rason, had high level support. Late North Korean leader Kim Jong Il inked an agreement for them during a trip to China in 2010. The Rason zone has been more successful, though, with much more development, including a Chinese-built road into town and a new bridge being built at its border crossing. Kim’s son, the youthful current leader Kim Jong Un, has yet to visit China, and seems unlikely to be invited any time soon as he pursues an accelerated nuclear weapons and missile testing program to the increasing alarm of the outside world. A glossy promotional booklet from 2012 shows an artist’s rendering of gleaming tower blocks in Hwanggumphyong and wide, tree-line avenues. 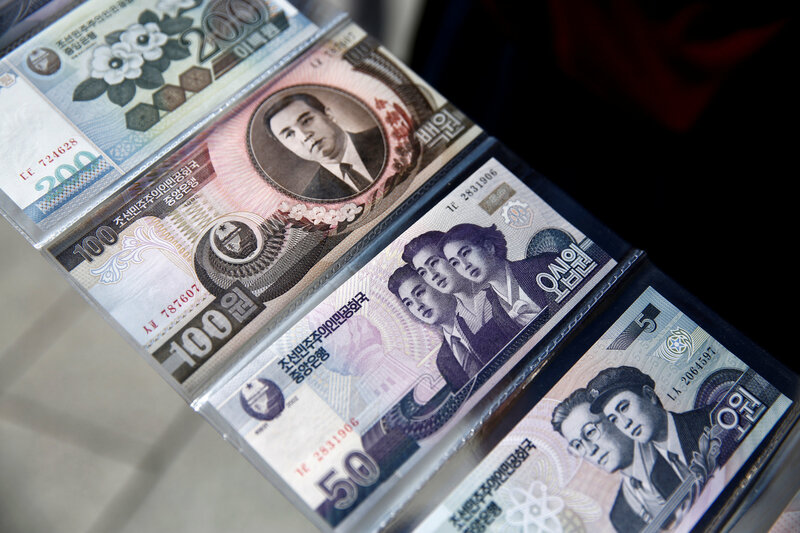 “North Korea has not only abundant, high-quality human resources, but also rich capital resources and enormous land to develop,” the bilingual Chinese-English booklet reads, promising legal protection for investors and tax breaks. When Reuters visited this week, only farmland and barbed wire fencing could be seen from the Chinese side. “The government was counting on trade between China and North Korea to drive economic growth here but that hasn’t happened,” said a security guard who gave his family name as Liu, standing in front of an office building on the optimistically named Commercial Street. “To be honest, the main reason the new zone hasn’t developed is because the bridge isn’t open,” Liu added. 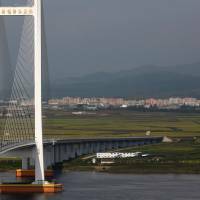 The new link is meant to supplement Dandong’s old “Friendship Bridge,” with its lone lane for both vehicles and people running parallel to a single-line railway track. About three-quarters of bilateral trade flows through the city, and statistics show how limited that still is. China’s trade with the North is dwarfed by that with capitalist South Korea, which was worth 908 billion yuan ($136 billion) between January and July, compared to just 17.7 billion yuan between China and North Korea. Dandong’s emotional ties with North Korea run deep, thanks to its front line position during the 1950-53 Korean War when China and North Korea fought against a U.S.-led U.N. coalition. 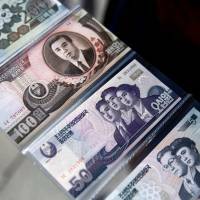 Shops are packed with often low quality-looking North Korean goods, including ginseng and spirits infused with snakes and medicinal herbs, and North Korean waitresses sing patriotic songs at government-run restaurants for curious tourists. Those relations have been severely strained by North Korea’s nuclear and missile tests and periodic shootings and murders blamed on North Korean residents and security forces. “I don’t like North Korea. The police on the other side used to shoot farmers who’d go over to sell potatoes, corn, things like that, in the winter,” said Dandong farmer Zhao Guangfu, 70. Jin Qiangyi, Director of Yanbian University’s Center for North and South Korea Studies, said China found itself in a “distressing” position on what to do with North Korea. Shutting the door won’t work, Jin added.